2 shot near Palm Beach Gardens, deputies search for a suspect. SUBURBAN PALM BEACH GARDENS, Fla. -- A man has been charged in connection with shooting a man and woman near Palm Beach Gardens Sunday. Tyrome Johnson, 42, was arrested by the United States Marshals Task Force. 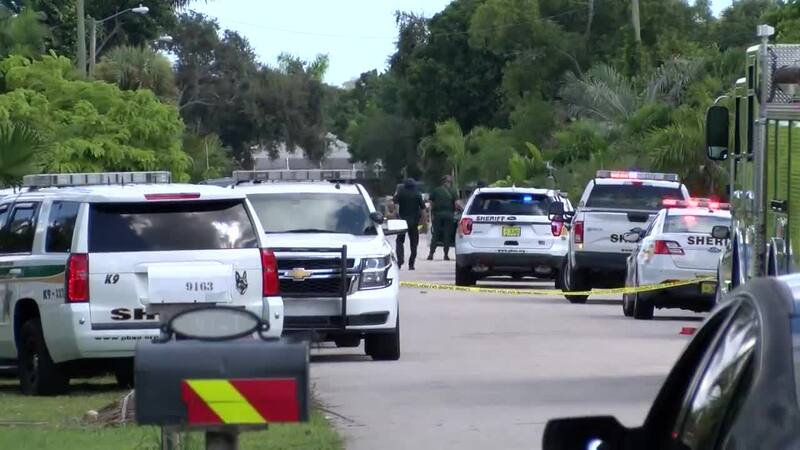 Deputies with the Palm Beach County Sheriff's Office responded to the shooting just before 10 a.m. in the 9200 block of Sun Court in unincorporated Palm Beach Gardens near Interstate 95 and Northlake Boulevard. The two gunshot victims were located at the scene. On Monday, the Palm Beach County Sheriff's Office said one victim was in critical condition and the other was listed as stable. The Palm Beach County Sheriff's Office says Johnson is also suspected to be the gunman in a domestic violence-related shooting that happened Sunday morning in the 1500 block of Belvedere Rd. near Australian Avenue in West Palm Beach. Johnson faces several charges including two counts of premeditated first-degree murder, aggravated assault and robbery with a deadly weapon. During a Wednesday morning court hearing, a judge set his bond at more than $1 million.